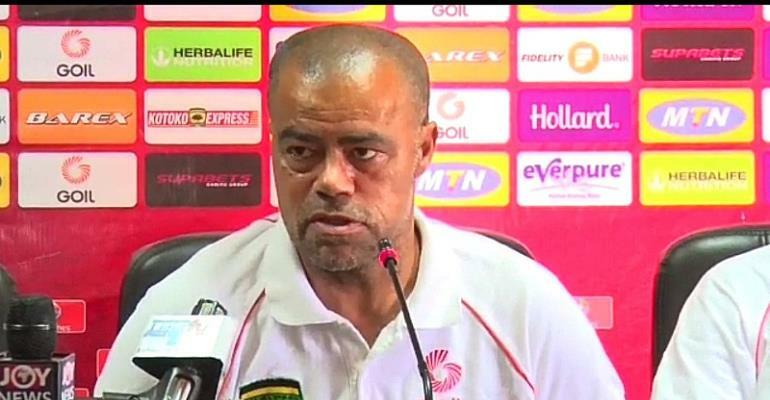 Kumasi Asante Kotoko has officially parted ways with head coach Steve Pollack after failing to qualify the team to the next round of the CAF inter-club competition. After beating CARA Brazzaville by a lone goal in the first league in Baba Yara Sports Stadium in Kumasi in the first league in the preliminary round of the CAF Confederations Cup, the Porcupine Warriors were crashed out of the competition in Congo on Wednesday losing 6-7 on penalties. The English trainer was appointed to replace Croatian trainer, Zdravko Lugarusic in the middle of the 20161/7 Ghana Premier League season. Pollack finished the season in the 5th position with 43 points and defeated Hearts of Oak to win the MTN FA Cup held at Tamale. Ahead of the 2017/18 GPL season, the former Berekum Chelsea signed a contract extension with the club but have been shown the exit door after failing to impress in Africa.